Viknesh Vijayenthiran February 18, 2019 Comment Now! 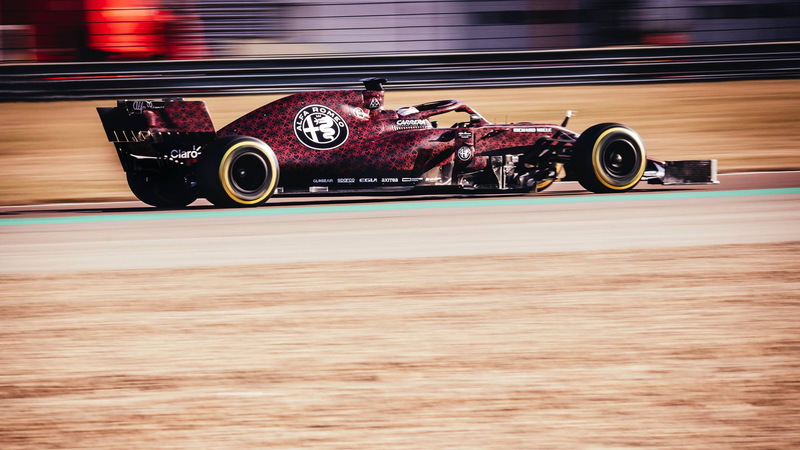 Alfa Romeo made a not-so-dramatic return to Formula 1 in 2018 together with Sauber, with the team finishing a lowly eighth in the Constructors' Championship. 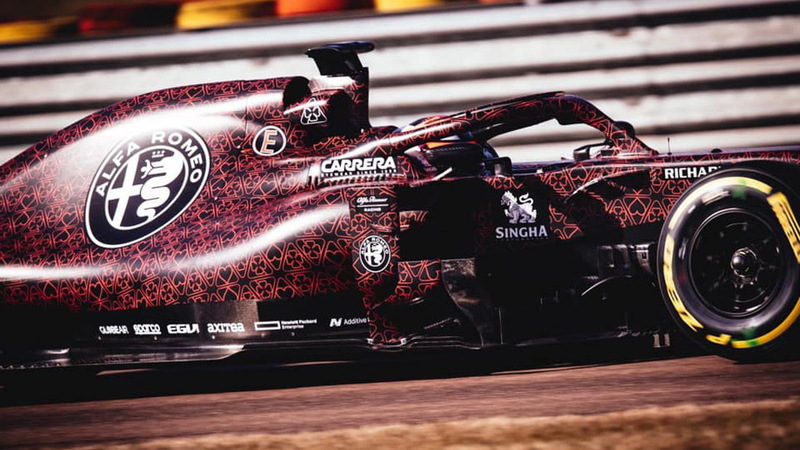 There's renewed hope going into 2019, however, with world champion Kimi Räikkönen having joined the squad, which for the new season will race as Alfa Romeo Racing. There's also new driver Antonio Giovinazzi, who is about to enjoy his first full season in F1. 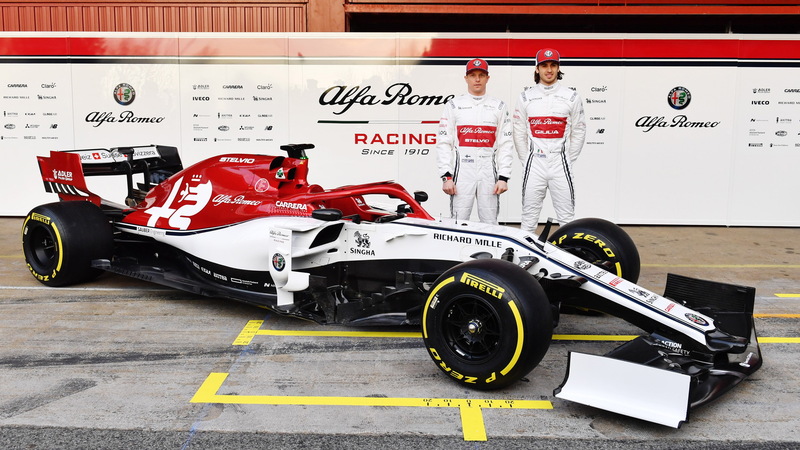 The two will be driving Alfa Romeo's new C38, which was unveiled on Monday in a livery combining white and blue, the traditional colors of partner Sauber, with the red of Alfa Romeo. 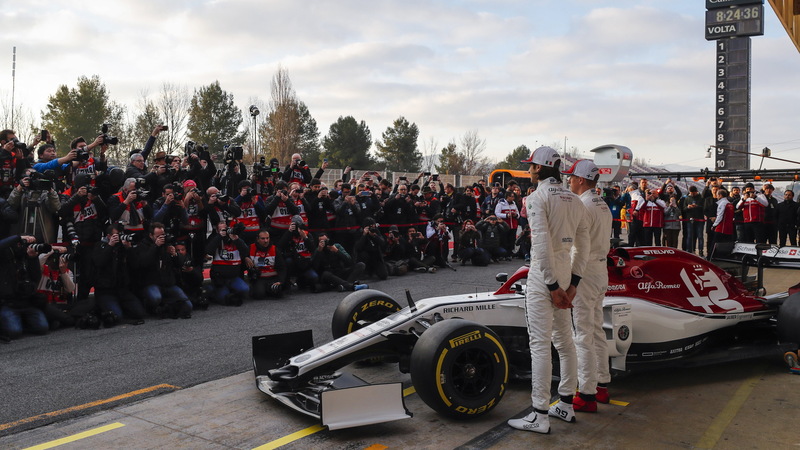 The reveal took place at the Circuit de Catalunya in Barcelona, Spain, where pre-season testing is currently underway. Räikkönen was the first to sample the new car, though his testing of the C38 didn't get off to the best start. Within the first lap he ended up stuck in the gravel at Turn 5. 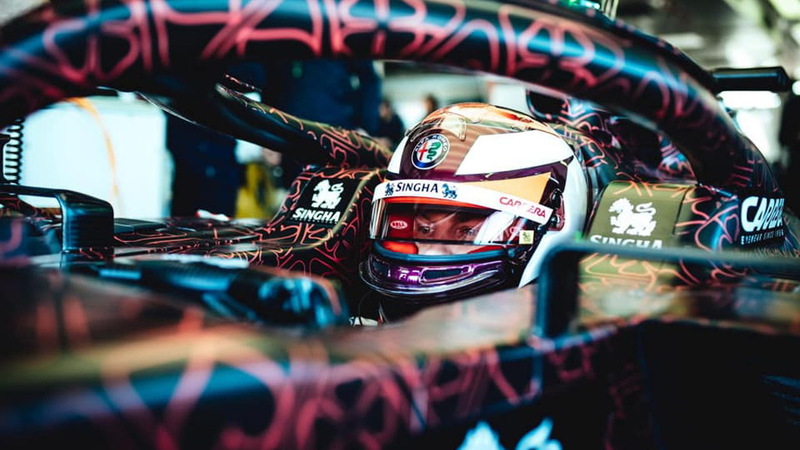 The cars haven't changed much from the previous season, although aerodynamic elements have been made simpler to allow for more competitive racing. Organizers are promising much more overtaking. In line with the new rules, the C38's front wing is bigger and extends further forward than on the previous car, but it's also lost some of the more complex aero, with the end plates made flat and the underwing strake count reduced from five to two. You'll also notice the rear wing is taller, wider and simpler, which means increased drag and thus increased strength of the DRS. Power units are similar to last year, meaning a 1.6-liter turbocharged V-6 working with two motor-generators—one mounted on the driveline and the other integrated with the turbocharger. Alfa Romeo continues to source its power unit from Ferrari, just like it does for some of its road cars. Teams will now prepare for the first race on the 2019 F1 calendar, the Australian Grand Prix in Melbourne on March 17.